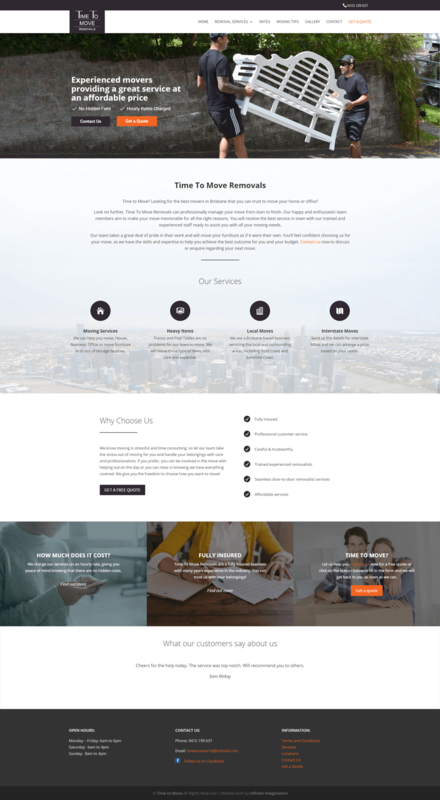 This is a website design for a removals business. 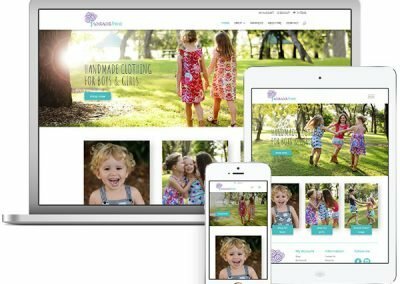 The site was built on WordPess platform using Divi Theme and custom Child Theme. 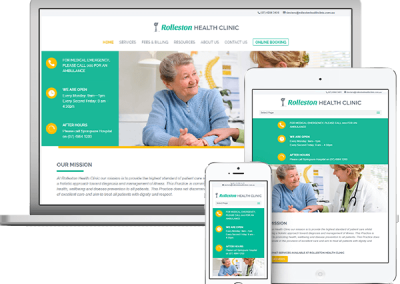 The main goal of this project was to have a nice and clean online presence. 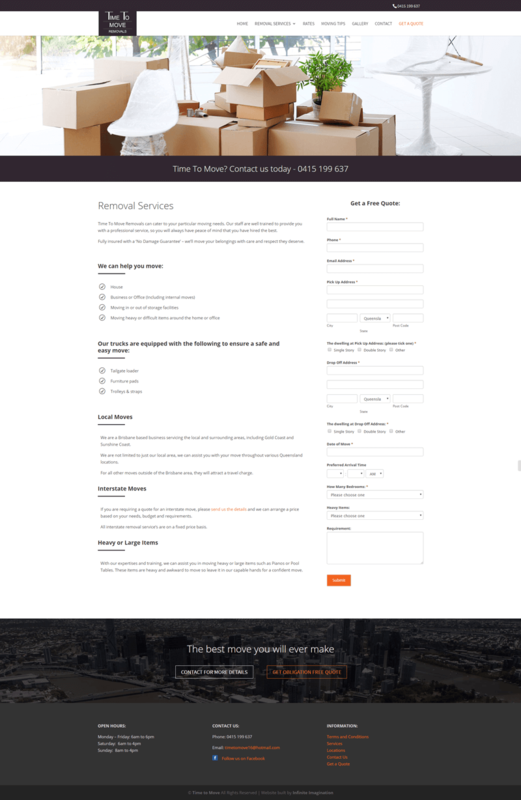 The very important part of this site is “Get a quote” and “Make a booking” forms. 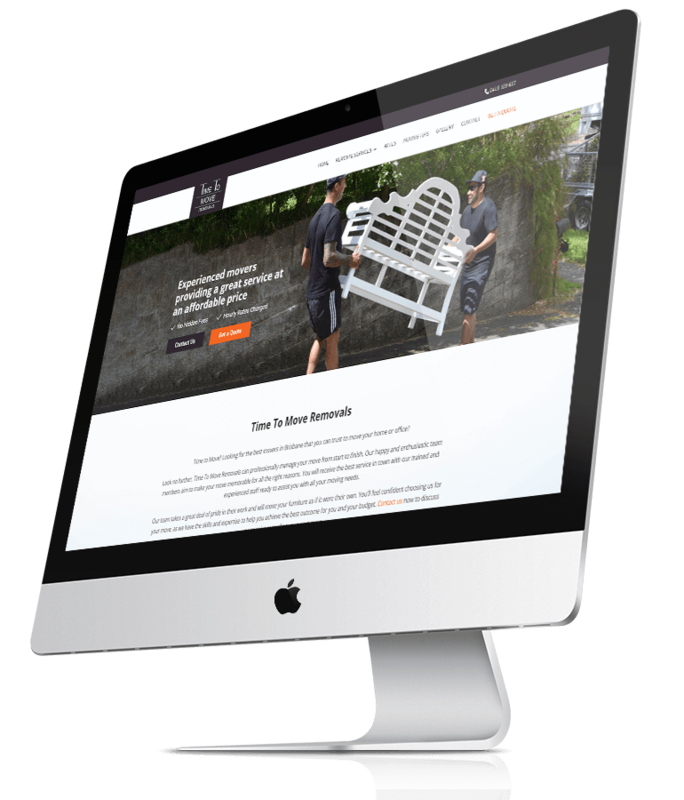 The presence of these form on the website gives clients the ability to get an online quote or make a booking, regardless of business office working hours. It also gives the business owners huge advantage as they don’t need to answer as many phone calls and have a good tracking system for all incoming enquireis. The website is mobile-friendly, all forms on the site are easy to fill no matter what device is used.